The ONLY 'All Request' Live Big Band Radio Show in the World! Our musical historians make an occasional visit. Big Band Broadcast Historian for over 30 years Bill Wallace with historian specialists Chuck Henry and Bill Cwiklo help make it all the more musically interesting. Plus The Top Five Countdown with Ronnie Allen. The top five requests of the month from around the world are tabulated by Ronnie Allen who worked with Casey Kasem and his Top 40. From the U.K. is Harry and Edna on the Wireless. It is an hour long bi-weekly radio show hosted by husband & wife team Harry & Edna. Their Website describes the program as a look At The Current British 1930's -1940's scene through a steamed-up monocle. Harry & Edna On The Wireless is set to a back drop of 'tip top' recorded gramophone music with stylish guests and big band artists. Special programming that comes around once every two months! A TRUE Glenn Miller learning experience! Miller On Mondays features two hours of Glenn Miller music with commentary from world recognized Big Band writer and historian Jeff Karpinski. Plus archival and never before heard Glenn MIller recordings. 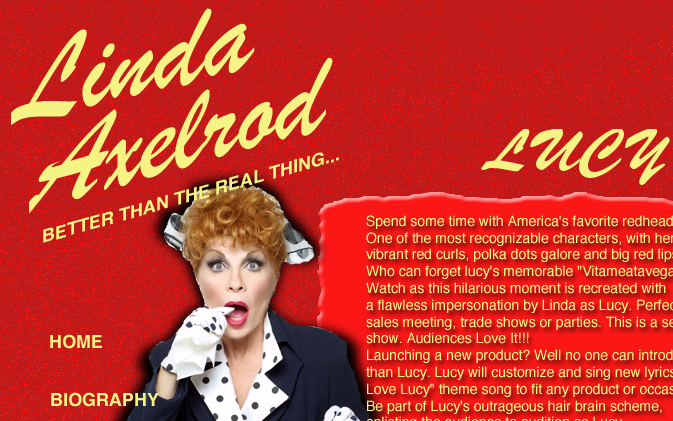 with our special guest star Pretty Perky Peggy King! Peggy Kings 'Off The Cuff' aired on WYYR.com from June 2011 to September 2013 and presented over 50 guest stars. Peggy King is a televison star who was also the singer and actress on the 1950's George Gobel TV show. 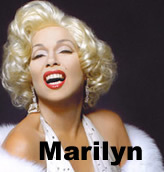 She also garnered one of the first 100 stars on the Hollywood Walk of Fame. The 'Countdown Man' Ronnie Allen's special program entitled The YesterYear Countdown has gained worldwide notariety here on WYYR.com. This program always featured a special Countdown of a special week within the years of 1950 to 1955 based on the charts and particularly the pop standards of the day. Ronnie continually comes back with special countdown shows and is always a part of the Big Band Broadcast's Top 5 Countdown the last Saturday of each month. BIG BAND JUMP was a two hour weekly program that thrilled our audience around the world for several years. Unfortunately it was towards the end of this special shows run. So after 27 years of production, in September 2013 Big Band Jump ceased production. We cannot thank Mr. Don Kennedy enough for his talents, knowledge, and entertaining personality that drove this program for so many years. Chris Valenti is the Program and Marketing Director at WYYR.com. His goal is to make sure that stellar programming is always emanating from the station. And thanks to amazing WYYR personalites like Jan Eberle, Peggy King, Horace Heidt, Jr., Don Kennedy, David Miller, Glenn Robison, Ronnie Allen, Harry & Edna from the UK, Ed Robertson, and Jeff Karpinski, the response and listenership has grown exponentially. Why? Because WYYR.com is the ONLY All Big Band radio station that not only has regularly syndicated big band radio programs, but also praised and celebrated home grown programs heard nowhere else. WYYR's YesterYear Radio is now the #1 interactive Big Band internet radio station worldwide. This program first aired on New York's 1240AM WGBB in 1979, but its original name was Blast From the Past. The show featured both Big Band and early Rock & Roll, but lasted just a few years. The shows producer was Hank Nowicki from the North Merrick School District Union. Michael Heaney was also a host of the program with Chris. Soon after, but with a different name and a new format, it came back to 1240AM WGBB and made itself a staple for many years on both AM and FM including WBAU & WHPC ... but soley as a Big Band program with Chris Valenti as its host. Chris Valenti and his approach of taking a constant barrage of listener requests was nothing new to radio. This was a common format fifty and sixty years ago. Dedicated listeners from New York's five bouroughs including Westchester County, CT & NJ called in weekly with their requests. But as usual with new technology, some of the things we've always enjoyed and sometimes took for granted seem to disappear... including the 'All Request' radio program making it a thing of the past. And as far as an All Request 'Big Band' radio program goes... there were none. It was over. Hence, the birth of Chris' brain child The Big Band Broadcast! And with over 20,000 sides of 78's at his disposal, records he's been collecting since he was 13, Chris knew he can handle most requests. Not all, but most... and he does. And it's been going on for over five decades. Because of the programs uniqueness and Chris' efforts to keep this great American popular music alive, on February 9, 2002 Chris was bestowed the honor of being inducted into The Big Band Hall of Fame. One of only three radio disc jockeys ever to be inducted. From 8-24-03 is a 28 min video of one of the many Big Band Broadcast Barbecues. We always had the same and most sought after spot at Eisenhower Park on Long Island NY that had the most trees for shade. So please excuse some of the video's darkness. Chris' brother Tony from Montreal flew dowm for this event and also taped it. On WYYR.com, The Big Band Broadcast takes live calls and email requests from all around the world! Availble for personel or corporate functions; Jack Benny, Bob Hope, Red Skelton, W.C Fields and more by Lynn Roberts, George Burns by Peter Salzer, and Abbott & Costello Bud & Lou, by Gil Palmer and Lou Sciara. 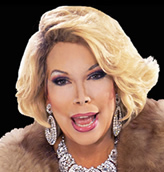 And for more of our favorite stars like Gracie Allen, Mae West, Lucille Ball, Marilyn Monroe, Charo, Joan Rivers, Liza Minelli, Tina Turner, Dolly Parton, Cher, Hillary Clinton and many more, please check out two of the best female celebrity impersonators of today and in no particular order.